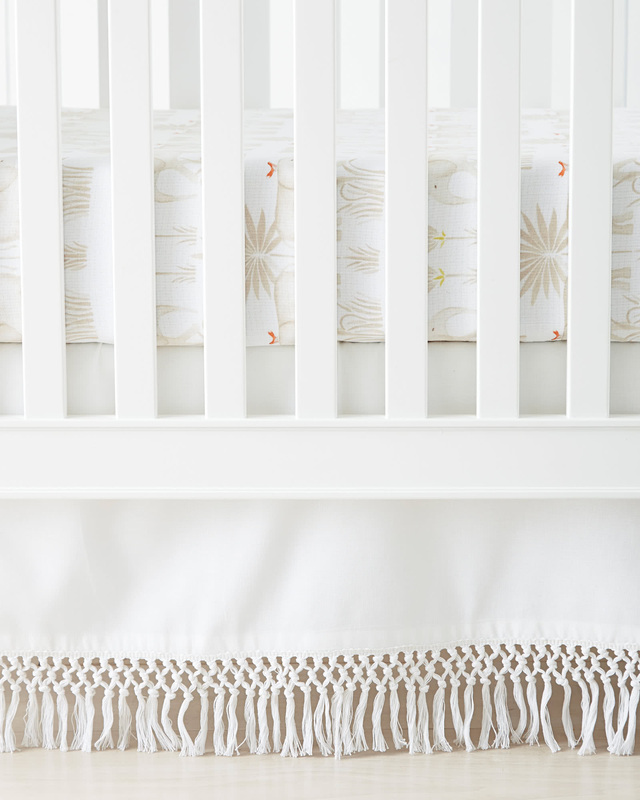 Macramé Crib SkirtMacram&eacute; Crib Skirt, alt="Macram&eacute; Crib Skirt, "
Print We can’t resist a fabulous fringe, and we adore the way this elevates the nursery in a way that doesn’t overpower. It adds a nice bit of texture and depth, making it a great little embellishment that keeps things interesting. • 53% linen, 47% cotton.